Suspected cultists on Sunday attacked youth corps members’ lodge at Angalabiri community, Sagbama Local Government of Bayelsa State. The hoodlums were said to have cut off a corps member’s left hand. The victim, Luntis Julius from Taraba State, was reportedly attacked with a machete. The hoodlums were said to have robbed the corps members of laptops and phones. The Nation learnt that the incident, which occurred about 2:30a.m., caused panic among corps members serving in Sagbama Local Government. 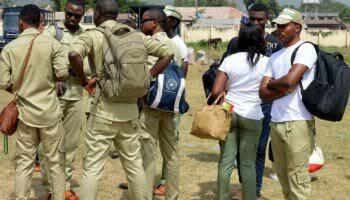 A corps member, who spoke in confidence, lamented constant attacks by armed youths. Recently at a stakeholders’ workshop organised by the National Youth Service Corps (NYSC), the Coordinator, Mrs. Loto Bolade, implored employers of corps members to put facilities in place to address their security and welfare. Police spokesman Butswat Asinim confirmed the attack. He said it is a case of burglary. Asinim said the hoodlums stole the corps members’ belongings and attacked one of them with a machete. He said the police arrested two of the suspects, adding that investigations were on to nab others.